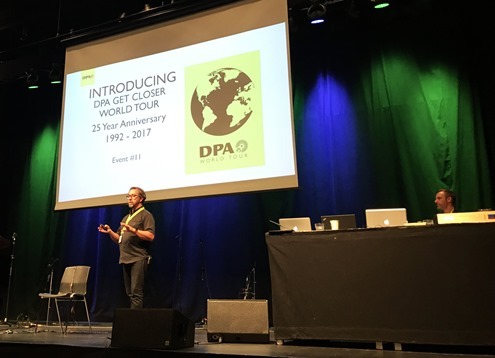 DPA Microphones have been touring the world since the summer of 2017 and plan to continue in 2018. A permanent passenger on their microphone masterclass tour is an AX32 that acts as the centerpiece on the stages. 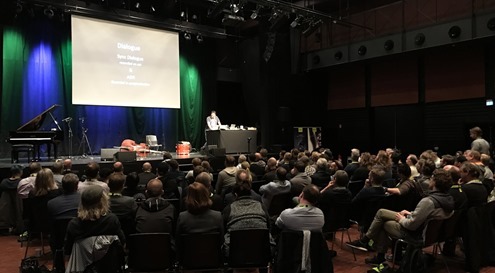 DPA’s GET CLOSER World Tour is a series of microphone masterclasses where audio experts from within the company team up with a wide variety of legendary sound engineers. These engineers come from film as well as music production backgrounds, but common to all of them is that they have been working at the highest possible level for many years. We’re talking about sound experts who have captured the audio for films like Alien: Covenant, Mad Max Fury Road, The Hitman’s Bodyguard and Valérian - just to name a few. And on the music side, Sting’s sound engineer for both studio sessions and recording of live concerts often joins in to share his knowledge and experience with the participants. 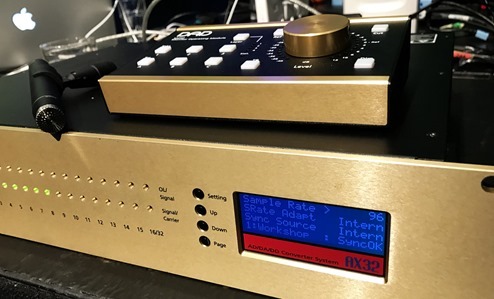 During the day, we got the chance to talk to DPA’s Bo Brinck, who is one of their audio experts and also acts as the host of the masterclasses, about why DPA chose AX32 and how it is being used in the touring setup. The Copenhagen masterclass was the 11th stop on the DPA World Tour and while the locations around the world have been carefully selected, there are natural differences at play. For instance, the physical rooms – and therefore acoustics – are unique and the Front of House setups are different. Some may have DiGiCo, and others may have an Allen & Heath or an Avid Venue consoles. All of these options are great, but they also bring a unique sound to the table, so it was very important to the DPA World Tour team to take full control of as much of the signal chain as possible to ensure a high level of sound consistency: “To me, consistency in the sound we capture during the sessions is absolutely paramount,” Bo Brinck says. "Basically, I need to be 100% sure that the sound we pass on from the stage is always the same and in a super high quality that does our microphones justice. But there is also another dimension to the technical setup and infrastructure. 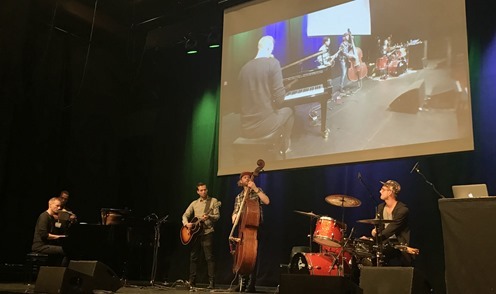 A full, local band is always hired to take part in the sessions in order to conduct realistic examples that are created on the stage in the particular room. 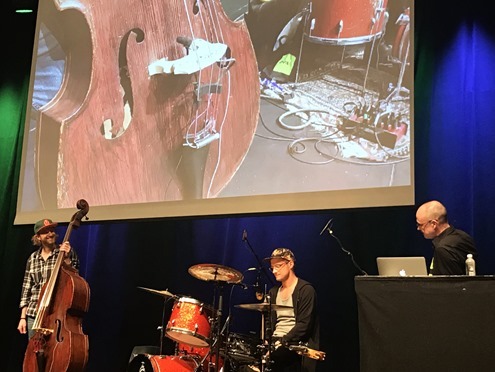 In short, each of the musicians is asked to play a few bars that are recorded with a wide variety of microphones simultaneously, and afterwards, the audience gets to listen to each of the microphones played back. Then, the microphone positions are changed for comparison purposes, which may happen several times. In other words, there are a lot of microphones on the stage. And even though DPA’s AX32 is loaded with 24 channels of microphones preamp and AD conversion, it is necessary to swap some of the microphones for instance between some of the morning sessions and the afternoon sessions. "Another really great thing is that I can easily use more than 24 microphones. Not at the same time, though. For instance, we may have a morning sessions, using a lot of our d:screet™ microphones, but in an afternoon session, we may use d:dicate™, d:facto™ and d:vote™ microphones. And all of them may need a different amount of gain depending on their role in the recording setup. Finally, Bo Brinck also got the opportunity to take a step into a new territory: IP Audio. 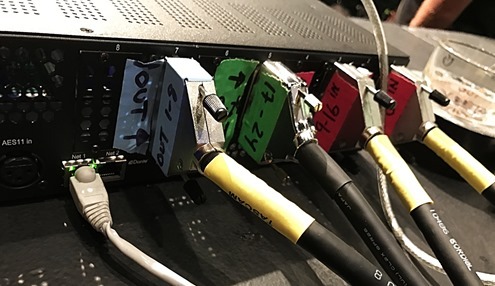 Obviously, having a comprehensive technical setup that also has to be portable and easy to set up over and over again in every corner of the world, using Audinate’s Dante AoIP protocol seemed like a good way to keep cables at a minimum on the stage. "I am using an IP Audio Dante connection. It’s a first for me, but it works absolutely flawlessly. I like to keep cable runs short and clutter-less, so I simply have a single Ethernet cable between the AX32 and the Mac, running Pro Tools. On the Mac I use Audinate’s Dante Virtual Soundcard, which also works perfectly. To sum up, what we do at our masterclasses is really to combine studio or broadcast recordings with a live venue setting. 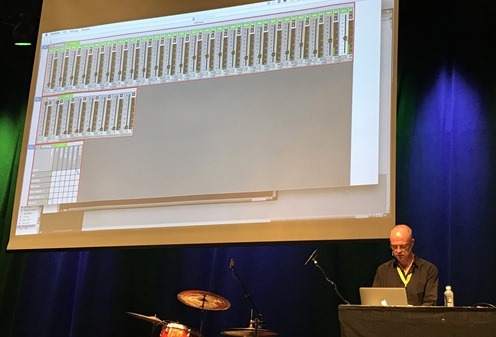 Having a studio-grade, yet portable, signal chain on the stages of very different live venues is a challenge, but I really feel that we have found a great and very flexible solution – one that supports a multitude of workflows and matches the quality of our microphones,” Bo Brinck concludes. Well, we definitely had a great time at DPA’s masterclass, and got some really cool insights and fun anecdotes from some of the most inspiring audio engineers along the way. And of course, we were pleased to learn that AX32 is a great match for DPA’s ambitious world tour that has visited 11 locations in 3 continents so far. We take that as hard evidence that AX32 is not only a rock-solid, reliable solution when sitting in a permanent rack, but also as part of a worldwide touring rig! At the time of writing, the next time AX32 is on the stage with DPA is in Berlin, Germany, January 17th 2018. Please follow the below link to sign up, or find out when their world tour comes by a city near you.